Moori is an ongoing development project. Moori is was exhibited at NamJunePaik (NJP) Art Center in Korea as an interactive installation, and was presented at ACM Creativty & Cognition 2011. 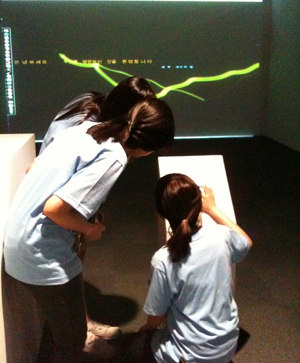 Currently it is developed at Harvestworks as part of the aritst-in-resident program. Moori Performance, ACM Creativity &Cognition 2011 (Atlanta, GA) from haeyoung kim on Vimeo.